The powerful Danish duo Circuit 900 is back at Monstart on February 8 with a new EP called Sapientia. This is the second collaboration between the pair and the label of Montpellier, who crossed the rail already in 2016 for the first release of Circuit 900. Monstart which also celebrates in 2019 its 10 years of activity as a label and evening. Shortly after a solid EP released by Circular Jaw, Circuit 900 continues to assert his strong taste for rhythmic and powerful music, strong in (hard) drums. On Sapienta (which, by the way, is a feminine name meaning “Faculty to understand and apprehend the world with wisdom.”), The duo formed by Nicolas Hansen and Jens Madsen delivers a work that they define as “drum focused”, that we will have no trouble completing accurate, technical and ultra-efficient. Representative of the duo’s work, the EP oscillates between tribal house, UK Bass and UK Funky. To the three original tracks are added a remix of Paris-London king Sylvere, solid as usual; and another from Syn, the co-founder of Flood and a powerful DJ that we’ve already seen collaborating with [re]sources, Majia or even NKC’s Even The Strong parties. In preview before the full release of Sapienta EP this February 8, you can now listen to the track Deltaic Regions below. On this piece devoid of melodies, Circuit 900 subtly combines their tribal house influences with sounds that are reminiscent of the oriental darbouka. 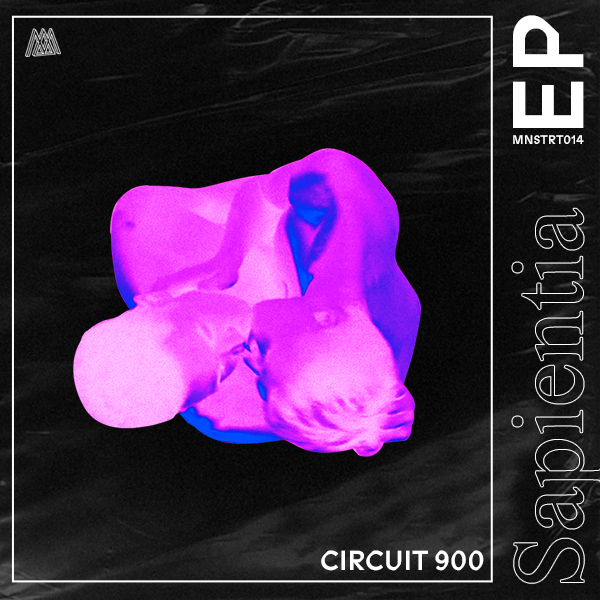 Sapienta EP of Circuit 900 will be available on February 8 via Monstart and you can already pre-order it right now.